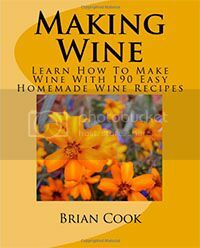 You can make adequate wines using kits, but the secrets to making homemade wine is in the detail. So for starters, real winemaking involves real fruit. Wines made from all sorts of different hedgerow berries, and most of all grapes, will always taste better than those made from the concentrate equivalent out of a kit. Ensure that the fruit you are using has ripened well, but at the same time is not over ripe. It is vital to have plenty of natural sugar which will be converted into alcohol during fermentation. If the fruit is too ripe it will lack enough acidity resulting in a imbalanced wine. For a wine to be ‘in balance’ and to age well it needs acidity. Just as with ripeness, too high an acid content means the wine will be tart and bitter and take longer before it is ready for drinking. Too little acid in the wine usually means that it will be dull and flabby. One of the main homemade wine secrets is to get the acid/sugar balance right in the fruit before it’s even picked, remembering that it MUST be disease and damage free. Get the pre-harvest analysis right, and the process from pressing through fermentation to fining or filtration will be made much easier. The best wines can come from the least amount of winemaking input. A winemaker wants to work with nature and not against it. Another secret is one most of us take for granted, our palates. Yes, we taste all sorts of things all the time, but seldom stop and analyse exactly what it is we are experiencing through our taste buds. Learn how to taste properly so you are able to break down all the component parts in the wine. This is what professionals do all the time. Tasting is just as important during the winemaking process enabling you to recognise irregularities, if and when they happen. Failing to detect oxidation or bacterial spoilage within the wine will result in a second rate sample, but catch it in time and deal with it promptly and the wine will be safe. Swirl the wine around in the glass so you can sniff the aroma and bouquet that is released in the bowl of the glass. A couple of quick, short sniffs to capture the flavours (don’t sniff too much as you’ll get confused). Memorise the smells you have detected. Taste the wine while sucking in air through it, (without dribbling) noting what flavours you are experiencing. It takes a considerable amount of precision and hygiene throughout winemaking to make really characterful wines. Therefore, once the wine is in bottle, don’t drop your guard, cellar it well. Ensure it is stored at the optimum temperature which is somewhere between 10°C and 14°C (50°F and 57°F). All wines require the temperature to remain constant all year round for correct maturing. Finally humidity plays a huge roll in the preservation of wine, anywhere between 60-75% relative humidity to keep the wine sealed without the cork popping out is the ideal. Remember: Clean ripe fruit plus good winery hygiene, and attention to detail throughout are the secrets to making great homemade wine. To learn more about wine, please visit Understanding Wine. Favorites: carrot whisky, Westcott Schnapps, wheat wine, orange wine, peach brandy, ginger wine, and more! Is The Wine Screw Cap Taking Over From The Cork? High Alcohol Content in Wine – Is It Too Much?